Don't you just hate when an employee comes in and asks for a raise? Isn't it so awkward and seldom if ever leads to a positive result? How often does the employee have a good logical reason for the increase in pay? Can you be proactive about some potentiality in the future? What options do we have to increase their value? How often does the conversation end up demotivating the employee? Wouldn't you rather inspire the employee? Be open, creative and communicate with the employee. 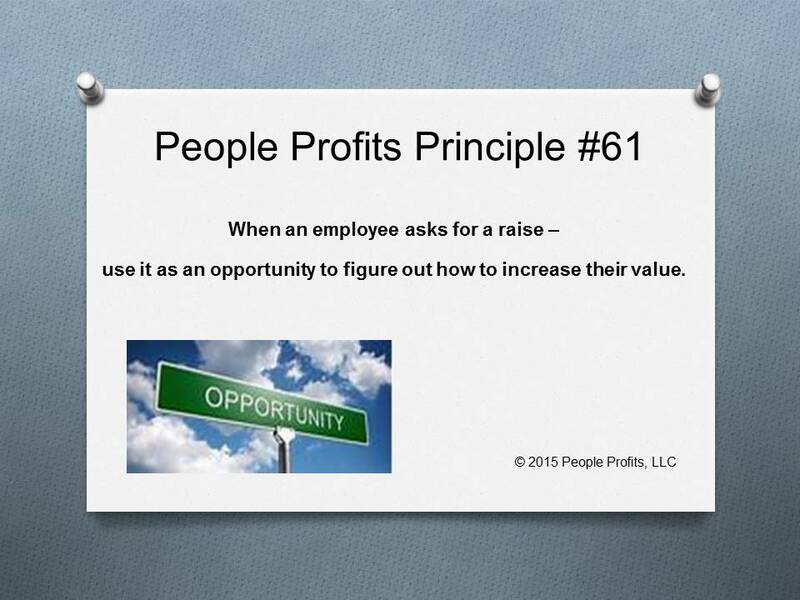 Many times when an employee asks for a raise - they are actually asking how they can increase their value to the organization. This is an excellent opportunity to be creative, look outside the box and see if there are any options to elevate the employee.